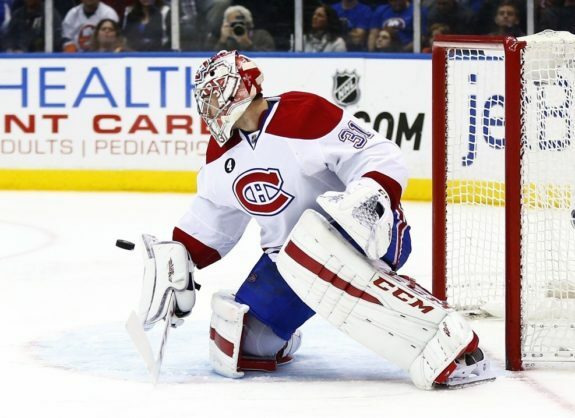 The key to success for the 2018-19 Montreal Canadiens may very well reside in a resurgent Carey Price. Considering the lack of a viable defense in front of the star netminder though, especially for the first half, it may be easier to focus on positives that are more easily attainable. The Secret to Price’s Success? It’s easy to imagine that if Price is able to take his game to old heights, goaltending coach Stephane Waite will have something to do with it. After all, under Waite’s guidance, Price developed into arguably the best goalie in the world starting with the 2013-14 season. That’s the point at which Waite signed on with the Habs. Before then, Price had been coming off a statistically mediocre campaign, which, it’s easy to forget, had been more common than not for him earlier in his career. Since that lockout-shortened 2013 season, when Price had earned a save percentage of just .905, he then rattled off four straight seasons with ones of .923 or better. So, the good news is, with Waite still in the fold after having signed an extension this offseason, Price still should have all the tools he needs to regain some of the form that made him a perennial Vezina Trophy contender. The better news is that Waite’s new contract was probably the least hyped of all of general manager Marc Bergevin’s coach signings, and justifiably so. With Dominique Ducharme being brought aboard as an assistant coach, the Habs instantly improve upon what has been perceived as a weakness throughout Bergevin’s tenure: The ability to effectively bring along young players. 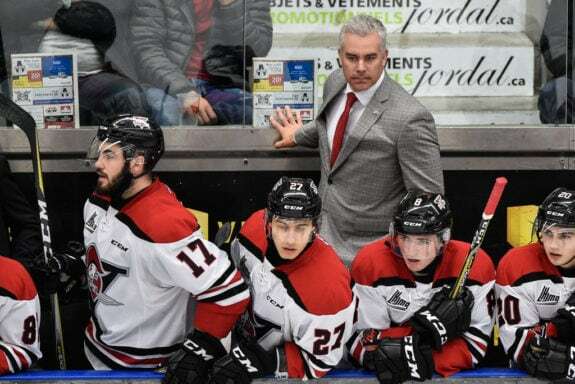 Ducharme served as a head coach in the Quebec Major Junior Hockey League for the last seven seasons, winning the Memorial Cup in 2012-13 with the Halifax Mooseheads. He also coached Canada’s gold-medal winning entry to the 2018 World Junior Hockey Championships. All due respect to outgoing assistant J.J. Daigneault, he never so much as owned a head-coaching title. Daigneault may have graduated from the ECHL to the American Hockey League and finally to the NHL, which is a noteworthy accomplishment, but, over the 13 straight seasons he spent coaching, it was always as an assistant. Meanwhile, Dan Lacroix, who also won’t be back to assist head coach Claude Julien, admittedly did spend time in major junior too. Still, his resume, which includes just 21 games as the Moncton Wildcats’ head coach, simply pales in comparison to Ducharme’s. It’s no contest. Why is this all noteworthy? Well, the Habs boast an incredibly young line-up, especially up front. Based on the roster as it is projected to look right now, only two forwards will be 30 years or older by the end of the regular season. One of them is captain Max Pacioretty (Tomas Plekanec), who, according to rumors, is likely on his way out anyway… potentially for more young talent. What’s more impressive is how eight forwards currently on the team’s roster page will be 25 or younger by the time the season ends. So, needless to say, it’s in the Habs’ best interest to invest in head coaches with experience nurturing young talent. It’s a recurring trend among all the new hires, with Luke Richardson bringing with him four years as the Ottawa Senators’ AHL affiliate’s bench boss. 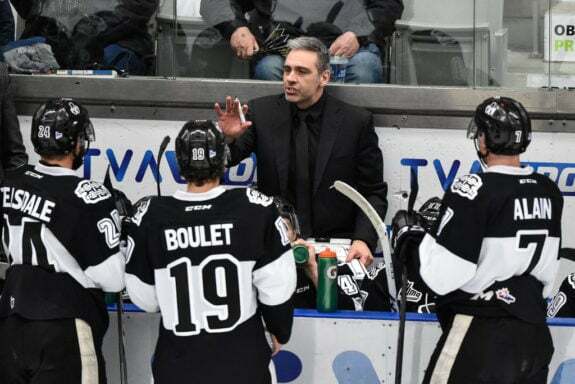 Meanwhile, with regard to the Canadiens’ AHL affiliate, Joel Bouchard, who like Ducharme has also found success as a head coach in the QMJHL, is taking over for Sylvain Lefebvre. Lefebvre of course infamously only managed a single playoff game victory in six seasons. He too had never been a head coach before being hired by Bergevin to head up the then-Hamilton Bulldogs for the 2012-13 season. It’s only logical Price can bounce back to a certain extent. It’s unlikely any improved play on his part translates to widespread success throughout the line-up though, seeing as it’s a largely unchanged roster from the one that got shut out a franchise-record 12 times last season. Price can’t do it all. It’s in sharp contrast to how the turnover behind the organization’s benches can positively impact its young talent, hopefully for years to come. It’s the one definitive way the Canadiens will be better next season. It will just take patience to see the results. The distance Price has come is proof of that.